Alabama has one of the highest rates of obesity in the U.S. and nutritional knowledge may be a factor in those statistics. Recent studies found more than a third of U.S. adults, and over 16% of the population were obese in 2009-2010. In 1986, Alabama’s obesity rate was less than 10%, compared to more than 30% in 2010. The reasons cited for the increase included lack of nutritional knowledge. The purpose of this study was to determine the nutritional knowledge of undergraduate college students at one university in Alabama. The 229 participants (87 male, 142 female) were undergraduates enrolled in health and physical education courses at a state university. None previously had a college nutrition course. Ages ranged from 18 to 58 (M= 22.3). There were 40 freshman, 50 sophomores, 85 juniors, 38 seniors, 7 fifth year seniors, and 9 non-degree students. Nutritional knowledge was assessed using the Nutrition Knowledge Questionnaire (NKQ). The NKQ meets psychometric criteria for reliability (Cronbach’s alpha=.70-.97 and construct validity, P=.001). The NKQ is divided into subscales: Dietary Recommendations (DR), Sources of Foods (SOF), Choosing Everyday Foods (CEF), Diet-Disease Relationships (DDR), and Total Score (TS). The survey was administered the first day of class. Results indicated a lack of nutritional knowledge in all subscales of the NKQ. The mean scores were 6.98 (63.4%) on the DR, 35.3 (51.1%) SOF, 4.1 (41%) CEF, 5.1 (25.5%) DDR and 51.5 (46.8%) TS. Nutritional knowledge has been cited as a factor in increasing rates of obesity and by falling far short of an acceptable level on all the subscales the participants scores are a serious concern. Students lacked the nutritional knowledge to make good dietary choices. The researchers realize that other factors (genetics, physiology, exercise) play a role in obesity. However, students must be better educated in nutrition. Further, nutritional education guidelines as set by the State Course of Study need to be examined. It is estimated that 300,000 people in the United States die each year as a result of conditions relating to obesity and more than 60% of adolescents and adults are underactive (2). Obesity is a also a major concern in the United States due to rate at which it is increasing in the general population. In 2000, no state had a prevalence of obesity less than 10%, 23 states had between 20-24%, and none had rates of obesity greater than 25% (1). However, in 2010 no state had a prevalence of obesity less than 20%, 36 states had a prevalence equal to or greater than 25% and 12 of these states (Alabama, Arkansas, Kentucky, Louisiana, Michigan, Mississippi, Missouri, Oklahoma, South Carolina, Tennessee, Texas and West Virginia) had a prevalence equal to or greater than 30% (1, 2). Further, more than one third of adults and approximately 17% of U. S. youth were considered obese in 2009-2010 (5). This is of great concern because of the rising costs of healthcare associated with the chronic diseases related to obesity. On average obesity costs the U. S. health care system $117 billion per year in direct medical costs, but does not include indirect expenses (loss of wages and decreased productivity) (2). Alabama has not been immune to the increase in its obese population. In 1986, Alabama had an obesity rate of less than 10% compared to more than 30% in 2010 (1-3). Other concerns are the variables involved in the increase in rate of obesity within the state. Prior research has indicated the lack of nutritional knowledge as a potential variable in the increase in the prevalence of obesity within the state. Therefore, the purpose of the current study was to determine the nutritional knowledge of Alabama undergraduate college students with no prior nutrition course at the college level. The 229 participants (87 male, 142 female) in this study were undergraduates enrolled in health and physical education courses at a state university. None of the participants in the study had previously taken a college nutrition course. For the purposes of this study, the following definition of obesity was used: Obesity: body mass index (BMI) > 30. BMI is calculated as weight in kilograms divided by height in meters squared, rounded to one decimal place (4). Nutritional knowledge was assessed using the Nutrition Knowledge Questionnaire (NKQ) that was developed by Parmenter and Wardle (6). The NKQ meets psychometric criteria for reliability (Cronbach’s alpha=.70-.97 and construct validity, P=.001). Validity and reliability studies have been conducted on the questionnaire as a whole, as well as, each section separately (6). The NKQ is divided into four independent sections and a total score: Dietary Recommendations (DR), Sources of Foods/Nutrients (SOFN), Choosing Everyday Foods (CEF), Diet-Disease Relationships (DDR), and Total Score (TS). Each correct answer in the section carried a point value of one and each section also had a corresponding maximum score (Section I- DR= 11, Section II- SOFN= 69, Section III- CEF= 10, Section IV- DDR= 20 and TS= 110). Approval for the study was obtained from the Institutional Review Board (IRB) of the researcher’s university. The survey was administered the first day of class before any type of nutrition lesson was taught. The researcher eliminated all surveys of participants who had previously taken a nutrition course at the college level (junior college or 4-year college), those who were graduate students, and those who did not complete all questions on the instrument. Therefore, 116 participants were omitted from this study. The dependent variables in this study were the sections of the NKQ (Dietary Recommendations (DR), Sources of Foods/Nutrients (SOFN), Choosing Everyday Foods (CEF), Diet-Disease Relationships (DDR), and Total Score (TS). The independent variable was undergraduate students enrolled in the health and physical education courses offered at the university. 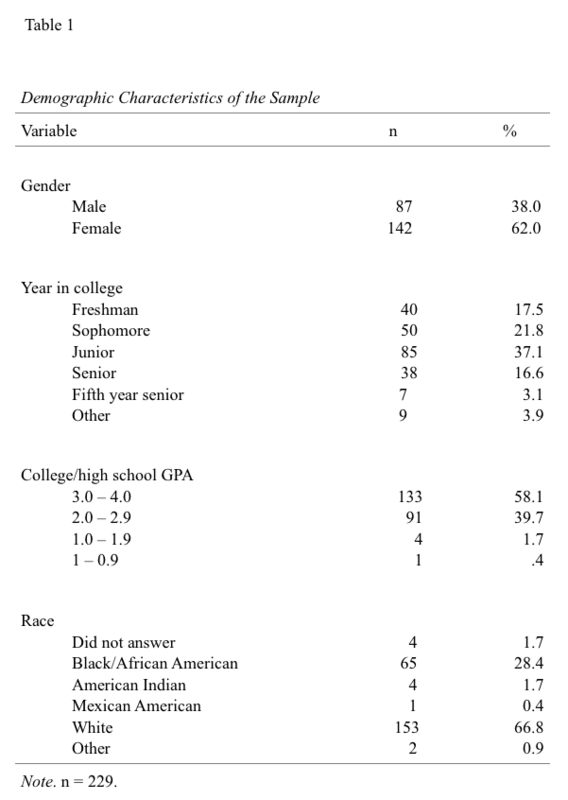 Table 1 presents the demographic characteristics of the sample. Ages of the participants ranged from 18 to 58 (M= 22.3). Thirty-four (14.8%) of the participants were on an intercollegiate athletics team at the university and 195 (85.2%) were not. In terms of nutritional knowledge, results indicated a lack of nutritional knowledge in all sections of the NKQ. The mean score was 6.98 (63.4%) on the DR section which measures Dietary Recommendations. That is, an indication that the participants had little knowledge of the categories of food selections, the recommended servings for those categories, or what is considered a portion amongst the various categories. The mean score was 35.3 (51.1%) in the SOF section which measures sources of nutrients in foods. The mean score was 4.1 (41%) in the CEF section which measures choosing everyday foods which includes the ability to make healthy and unhealthy choices. The mean score was 5.1 (25.5%) in the DDR section that measures the diet-disease relationship. More specifically, foods that are related to health issues such as limiting saturated fats. Finally, the mean total score on the instrument was 51.5 (46.8%) which is a measure of overall knowledge. Nutritional knowledge has been cited as a factor in increasing rates of obesity and the results of the current study support this factor. Moreover, the undergraduates’ scores falling far short on all the sections could indicate a general lack of nutritional knowledge and therefore, a serious concern with regard to the rising rates of obesity in the state. Students in the current study lacked the nutritional knowledge to make sound dietary choices. The researchers realize that factors other than nutritional knowledge such as genetics, physiology, mindfulness and exercise play a role in obesity too, but the lack of nutritional knowledge of the students in this study cannot be ignored. Nutritional education guidelines as set by the State Course of Study in elementary, middle, and high school need to be examined to ensure adequate coverage of this vital topic if the rate of obesity is to be halted or preferably lowered. Also, it is imperative that teachers instructing health courses actually follow and meet the standards set forth in the courses of study. Adequate preparation of teachers is also an issue as noted by Graves, Farthing, Smith, and Turchi, (3) and Scofield and Unruh (7). “Sport coaches” who often have a lack of sufficient nutritional knowledge tend to teach health and nutrition courses and/or provide student athletes with nutritional information that could be potentially incorrect or insufficient. This is of grave concern because research has cited high school coaches as one of the most likely sources for students to seek nutritional knowledge (7, 2). It is vital that we ensure that the information provided to students regarding nutrition is accurate and that there is an identifiable source for this information in the course of study. Future research might examine the degree to which nutrition is covered in the state courses of study, and the degree to which the standards in the course of study are met within the K-12 classes. Another interesting inquiry would be to use body composition rather than Body Mass Index (BMI) as a measure of obesity as body composition, not BMI, is the major health concern. Body Mass Index, particularly in athletes, may show a false positive reading for overweight as many athletes’ musculature would indicate them as overweight using BMI when their body fat might be well within a health range. 1. Center for Disease Control. (2012). Obesity trends among U.S. adults between 1985-2010. Atlanta, GA: Author. 3. Graves, K. L., Farthing, M. C., Smith, S. A, & Turchi, J. M. (1991). Nutritional training, attitudes, knowledge, recommendations, responsibility, and resource utilization of high school coaches and trainers. Journal of the American Dietetic Association, 91(3), 321-324. 4. National Center for Health Statistics. (2010, December). Obesity and socioeconomic status in adults: United States, 2005-2008 (Issue Brief No. 50). Hyattsville, MD: Ogden, C.L., Lamb, M. M., Carroll, & Flegal, K. M.
5. National Center for Health Statistics. (2012, January). Prevalence of obesity in the United States, 2009-2010 (Issue Brief No. 82). Hyattsville, MD: Ogden, C.L., Carroll, M. D., Kit, B. K., & Flegal, K. M.
6. Parmenter, K. & Wardle, J. (1999). Development of a general knowledge questionnaire for adults. European Journal of Clinical Nutrition, 53, 298- 308. 7. Scofield, D. E., Unruh, S. (2006). Dietary supplement use among high school athletes in central Nebraska and their sources of information. Journal of Strength and Conditioning Research, 20(2), 452-455. Doi:10.1519/R- 16984.1.